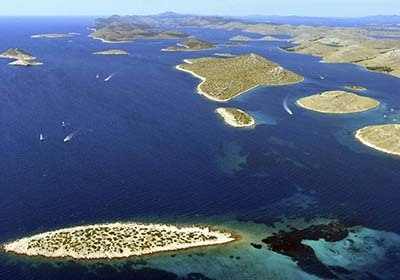 Our cruise will be start from a pier in Zadar. On the way to the park you will take serve aperitifs, coffee and sandwiches. 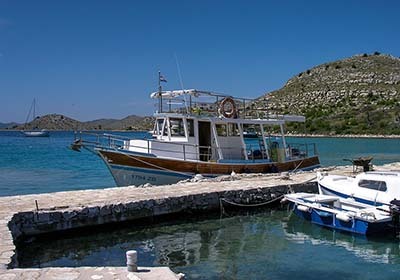 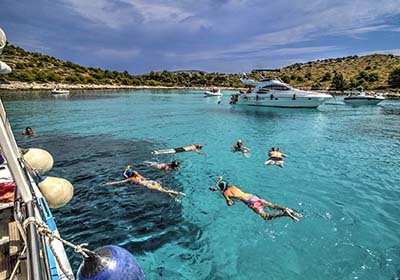 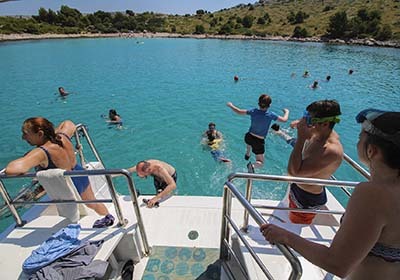 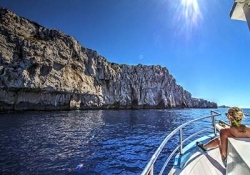 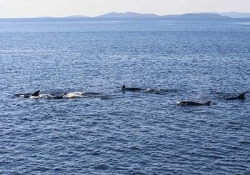 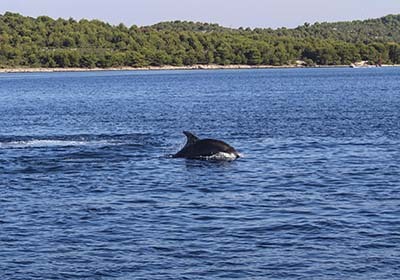 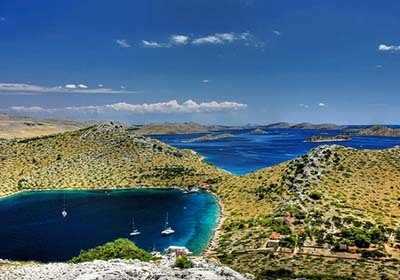 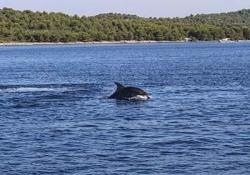 When we will enter to Kornati National Park, after a 2-hour-trip, we spend the rest of the cruise inside the area of the Park. 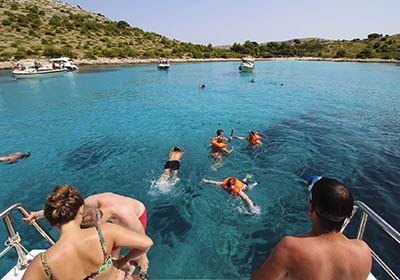 Panoramic sightseeing of the islands and high rocks will leads us to a beautiful Lojena beach located on the island of Levrnaka where we make an hour break for swimming. 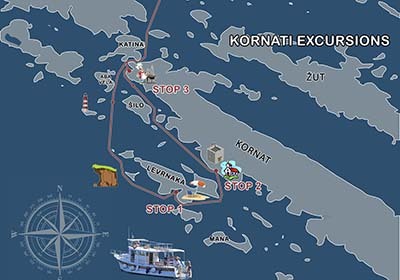 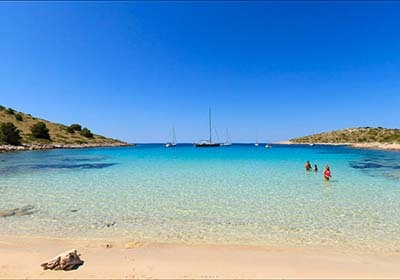 After a pleasant swim we continue our trip towards the island of Kornat and Tarac Bay where we will make a second 45-minute break for sightseeing and swimming. 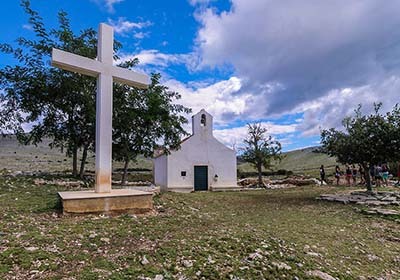 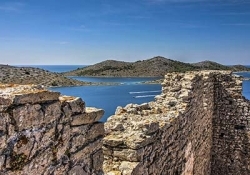 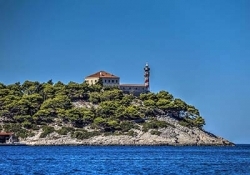 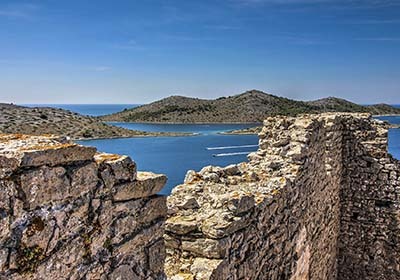 There we will visit Our Lady of Tarac Church built in the 17th century and Tureta Fort dating back to the 6th century from where you will have a magnificent view over Kornati archipelago. 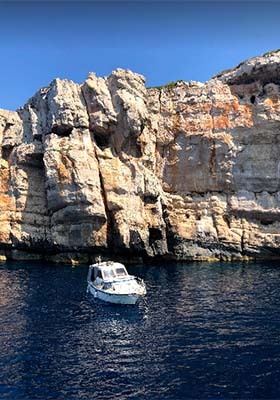 We take a different route back towards Suha punta alongside the island of Kornat where we make a third and final 2-hour break for lunch and swimming. 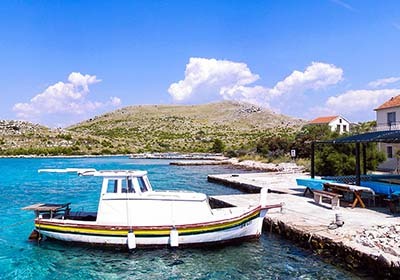 Lunch is served in small fishermen settlement in Dalmatian ambient and in a shade provided by century-old olive trees. 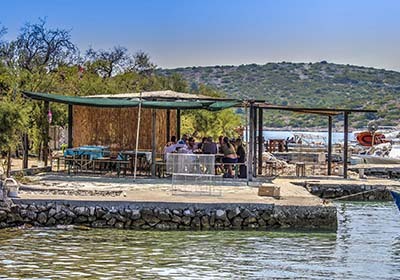 You will be served grilled fish and meat and mixed salad made of seasonal vegetables. 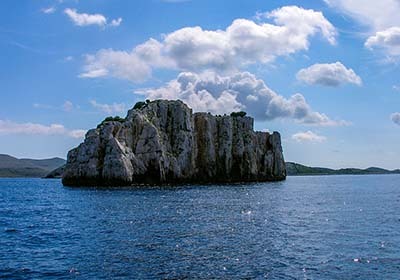 Throughout the entire trip, guests can drink wine, Coca-Cola, various juices and water.